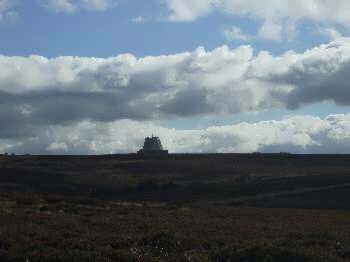 Fylingdales Moor lies on the eastern side of the North York Moors. For many years the moor was famous for its three famous "golf balls" - geodesic domes atop Snod Hill which formed part of an early warning system to detect incoming nuclear missiles through the course of the "Cold War". Today the "golf balls" are gone, having been replaced by a single unit which looks somewhat like a massive loudspeaker!